The Queen of the Mississippi is making visits to Point Pleasant this week. The first set of passengers had their tour of the city Monday morning from 9 a.m.-noon. Though the ship left the riverfront Monday afternoon, it will be returning on Tuesday and the second set of passengers will be having a tour of the city on Wednesday morning from 9 a.m.-noon. https://www.mydailytribune.com/wp-content/uploads/sites/42/2018/07/web1_0717.QOTM_-1.jpgThe Queen of the Mississippi is making visits to Point Pleasant this week. The first set of passengers had their tour of the city Monday morning from 9 a.m.-noon. 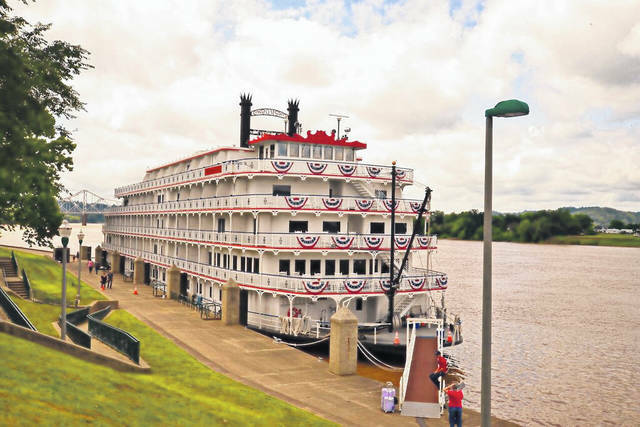 Though the ship left the riverfront Monday afternoon, it will be returning on Tuesday and the second set of passengers will be having a tour of the city on Wednesday morning from 9 a.m.-noon.